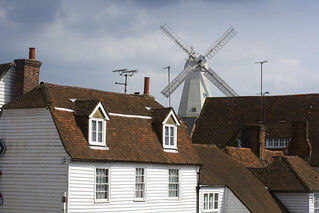 The route starts in the historic village of Sutton Valence and joins the Greensand Way, heading to the nearby villages of East Sutton and Ulcombe. 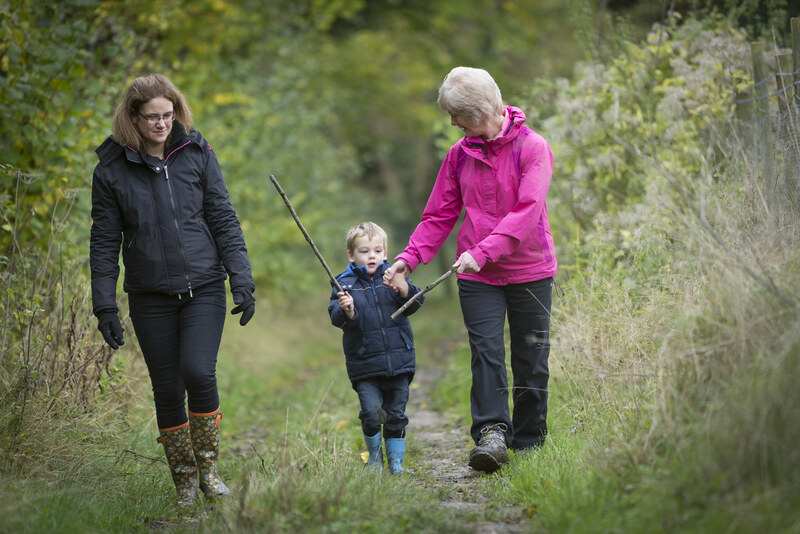 It then returns through fields and some of the most fertile farmland in the county. Along the way, you pass the 14th century parish church in East Sutton, which features Jacobean pulpit and a late 13th century font. 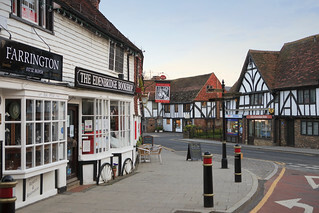 Sutton Valence was set on a branch road in Roman times and has played an important role in the history of Kent with many royal connections. 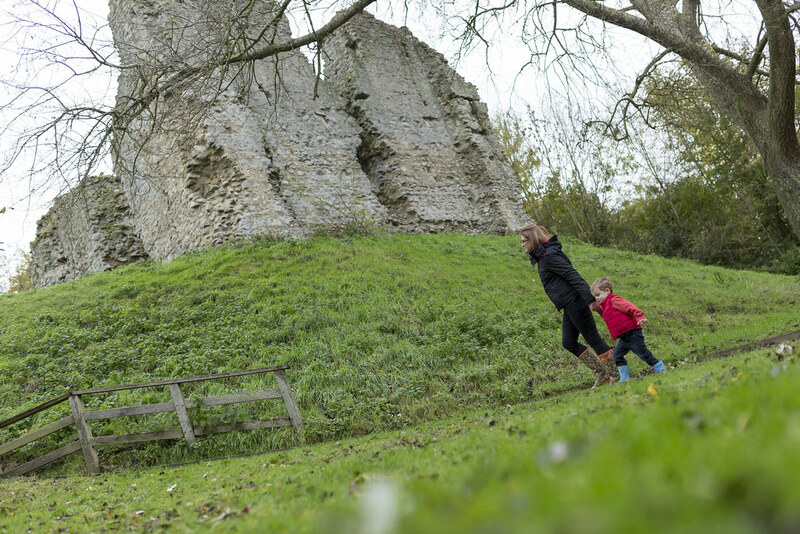 As you near the end of the walk, you come to Sutton Valence Castle, which is under the care of English Heritage. The castle was probably abandoned in the 14th century, but the remains of the Norman keep are still standing. The elevated site is an excellent place to capture panoramic views of the surrounding countryside. 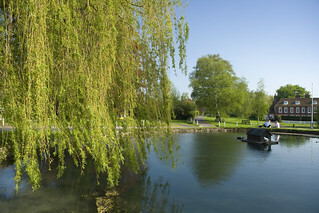 Admission is free and the site is open throughout the year. 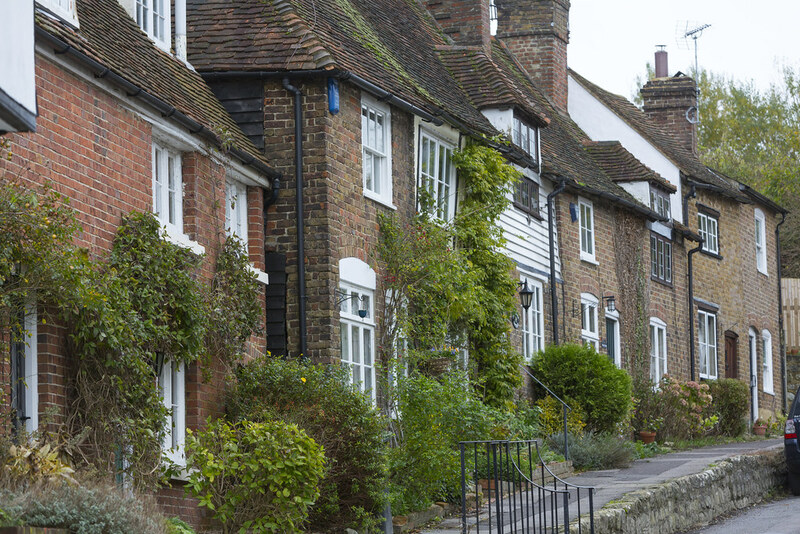 If you have any time to spare, Sutton Valence is a delightful village to explore, with many historic houses as well as excellent pubs. From parking walk ahead on the cobbled footpath past The Swan Pub and the Post Office (beware of right hand drop to road). Continue on the path past some houses on your right. Take care walking along the road. On reaching crossroads continue straight on and follow the Greensand Way footpath sign across field. Continue along field boundary and cross track. Keeping house to your right, head across field towards road. Follow Greensand Way signs along road (Church Lane). Pass a church on your right as you enter East Sutton. 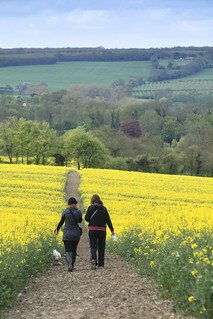 At crossroads, continue straight on, pass over stile and continue along edge of field, still following the Greensand Way. Pass through gate and continue with apple orchard to your right. Pass through 2 more gates as you head towards the road. Take care crossing road. Pass through gate and turn left following Greensand Way, pass Morry Barn on the left. Turn right off road to follow Greensand Way sign and continue along path to the side of field. There are good views on the right. Pass through gap and continue along left edge of field, passing Church Farm on your left. Bear right past All Saints church car park as you approach the road ahead. Leaving the Greensand Way, turn right to follow the road (Ulcombe Hill) downhill. 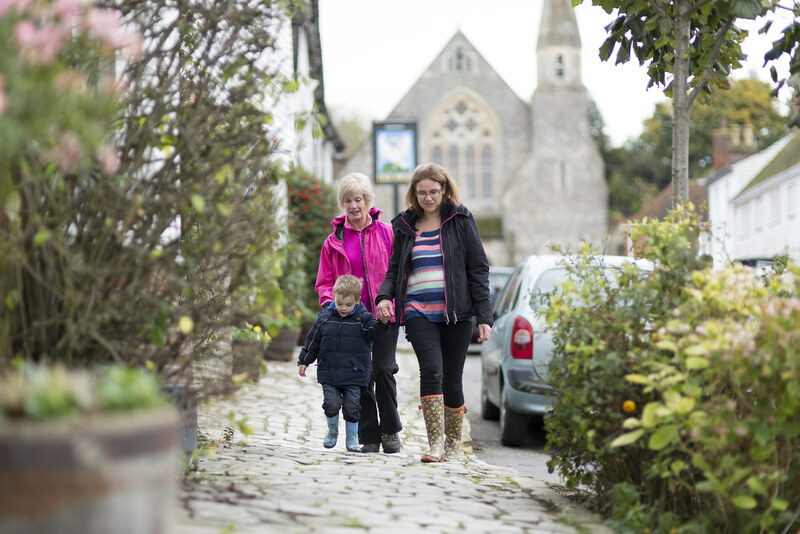 Enter the village of Ulcombe and pass The Harrow Inn pub on the right. Turn right to follow the footpath sign in front of the school, across a stream and along left edge of field. Continue up a slight hill, through gap and down towards road. 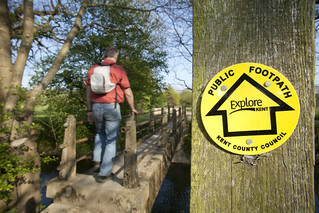 Cross road and follow footpath sign over stile and across field. 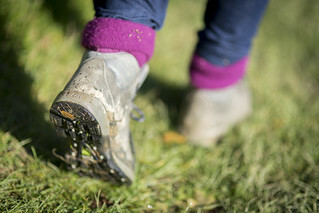 Go over another stile, cross stream and continue towards the road. Cross road following footpath sign over stile. Go through gate and continue ahead across field. Cross stream, go through gate and head across field to stile and follow path through woods. Cross stile and turn left to follow road. A short distance on, turn right to follow footpath sign. Pass lake on left and go through gap. Follow path along edge of field and up slight slope. Cross over stile to continue on path towards road. Cross stile and turn right to follow road. After a short distance turn left to follow the bridleway. Pass house and continue on surfaced road. Take care walking along the road. Continue along road and bear left, passing ruins of a castle on the right. 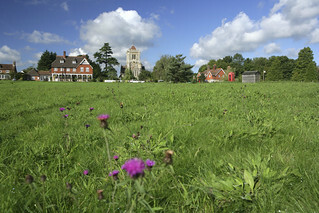 After a short distance you reach Sutton Valence village. Take the first road turning on the right to take you back to the Post Office where you started.